We always provide computerized route mapping. We will send you a google map so you know exactly where we are placing the weekend directional signs. We will design your directional signs at no additional charge. Standard 18" x 24" directional signs will be printed with as many colors as you would like and are double sided. Weekend directional signs are placed every weekend before 8am Saturday and picked up before 6am Monday. This gives you maximum weekend exposure. what are weekend directional signs? 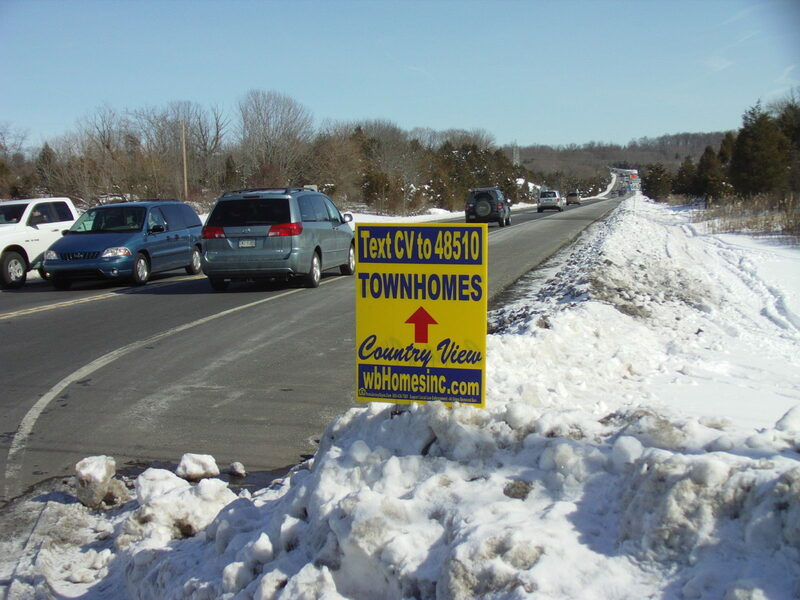 Weekend Directionals, Bandit Signs, Bootleg Signs, Snipe Signs are all names used for the most affordable way of driving traffic to your models for your new homes, apartment community or business. 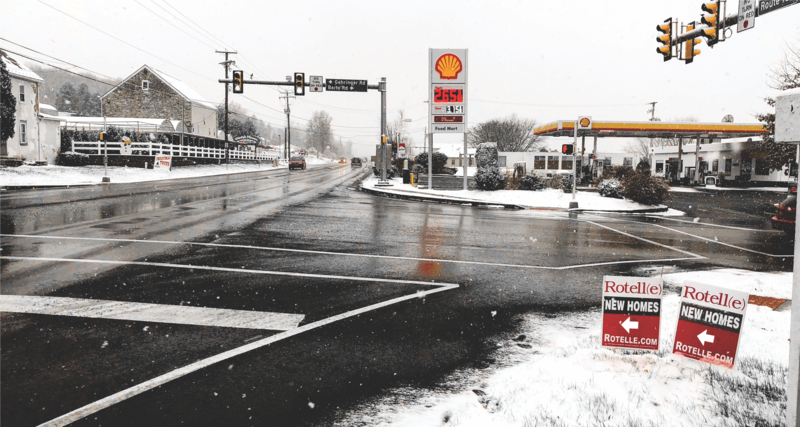 Explore any of the links here to learn why Penn Jersey Signs is the market leader placing over 17,000 signs per weekend in DE, MD, NJ, NY and Eastern PA with our double sided directional signs. On schedule and on budget completion. Penn Jersey Weekend Signs is locally based. We know the area well. Our placers personally know all our directional signage routes. We want to provide the best in service so rather than try to handle (and fail) serving the whole country, we limit our service area to New Jersey, Delaware, Maryland, New York and eastern Pennsylvania. You will have our cell phone numbers, which we answer! Contact one of our area managers for more information.